The Ferrari Challenge sports car and single marque race Series was first established in 1993, and was aimed specifically at amateur drivers. The first car produced with this Series in mind was the 348 Challenge racer of 1994. With the introduction of the 355 Series that same year, the 355 Challenge sports car was launched in 1996 to build upon the success of the 348 Challenge variant. Finally, in 1999, the 360 Challenge Stradale took the original concept of the Ferrari Challenge to the final level for a road-going day racer. 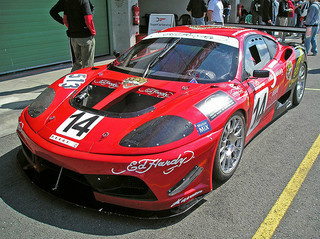 Following continued demand for these racers, Michelotto was asked by Ferrari to design a GT version of the 360 Modena, that complied with all the race regulations, in order that it would be eligible for entry in endurance races. Since the 360 Challenge cars were built in numbers that exceeded the minimum required for homologation (entitlement to race), then it would be used as the basis for the new GT racer. 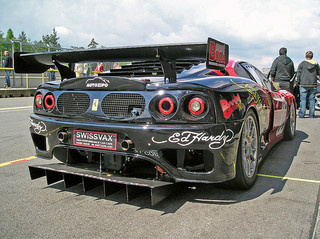 Between 2001 and 2003, a total of sixteen of the 360 Challenge cars were modified and converted into the 360 GT sports car, as it was now designated. Furthermore, between 2002 and 2003, some twenty of the 360 GT's were built from scratch as true racers by Ferrari, in collaboration with Michelotto. 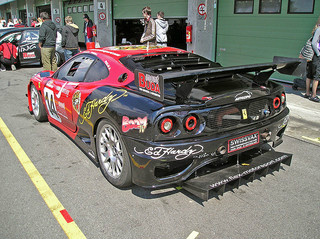 In 2001 and 2003, the JMB Giesse team raced the Ferrari 360 GT with distinction in that season's FIA GT Championship, and won several events. Unfortunately, the car was unable to overcome competition from the likes of Porsche from securing a class win in the ultimate endurance race, the Le Mans 24 Hours. However, following these successes, Ferrari decided that, from 2002, the 360 GT would be produced for sale to their customers. These sports car racers closely resembled the versions used by JMB Giesse, and included a cooling duct at the front, wider wings all round, and a larger, modified rear wing. Apart from stronger springs and shock absorbers, and an adjustable anti-roll bar, the suspension was unchanged from that used in the 360 Modena. Like the 360 Challenge Stradale, the interior was reduced to the absolute minimum, a roll cage was added, and instrumentation was in the form of a digital display. In the end, the weight of the 360 GT was reduced by over 250 kg to 1100 kg by the extensive use of Kevlar in the body panels, which meant that it was even lighter than the Challenge variant. The 3.6 litre, V8 engine with five valves per cylinder, developed 430 bhp at 8500 rpm, and 279 ft/lbs of torque at 5000 rpm. It was fitted with high lift camshafts, pistons made from lightweight material, and redesigned combustion chambers. In order to conform with the FIA regulations, it was fitted with two 30.8 mm intake limiters which dramatically reduced its capacity to breathe. With a compression ratio of 11.2:1, and fitted with a six speed F1-style paddle shift gearbox, it produced a top speed of 180 mph, with a 0-60 mph time of 3.6 secs. It used the same electronic control unit as in the 360 Challenge variant, had larger vented disc brakes with modified cooling ducts, and wider rims. 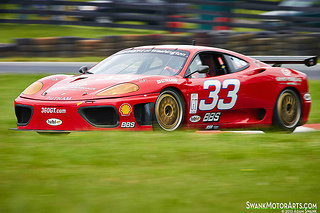 Originally priced at $390,000, a Ferrari 360 GT in excellent condition was placed at auction for nearly $130,000.